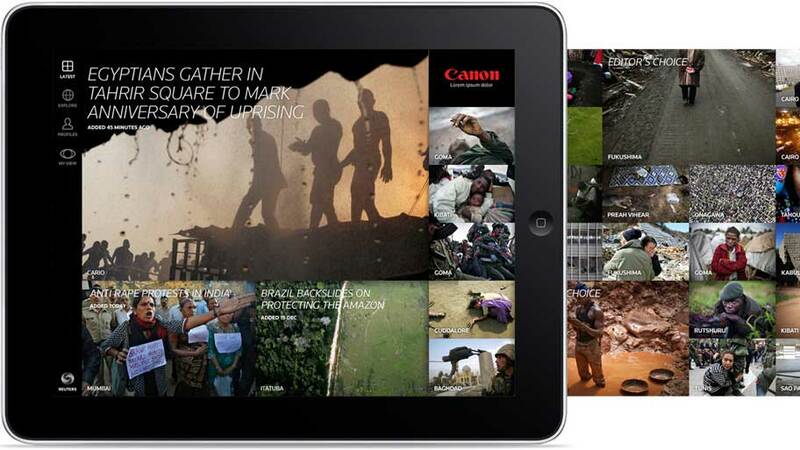 Reuters, the world’s largest multimedia news provider, wanted to establish a new approach to visual storytelling by creating an iPad app that combines the power of photography with deeper context. The organization approached Method, GlobalLogic’s experience design arm, to realize its vision by creating the user experience and visual framework for the application. Thomson Reuters Pictures owns an extensive volume of beautiful, powerful images that may never get seen or are only used for current news. Reuters wanted to find a way to utilize these powerful assets and to engage users to slow down and to look at the wider context. Whereas most news experiences begin with a story headline, this app would lead with imagery. With the focus of the app on photography, there were various challenges and questions that arose in layout and design. The app takes a more experimental approach with the way users can browse and digest. It also needed to balance a growing archive of material with fresh incoming content, all while offering a space for users to customize the experience. Reuters approached Method with the concept for The Wider Image app, including a content vision and a new visual vocabulary of story formats, ranging from interactive images to data visualizations. Method then explored various ways to combine photography and information in order to establish a layout, navigation, and functional speciﬁcation that worked consistently across multiple story formats. 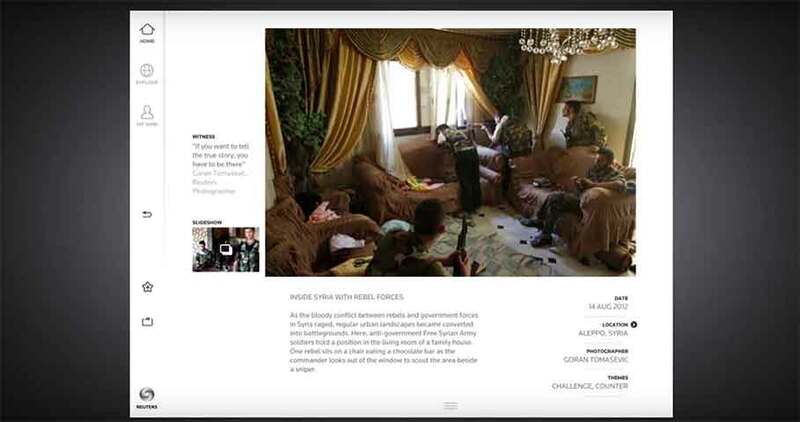 Using various digital tools for concept and prototyping, Method went through various iterations to ensure that the app positioned quality photojournalism ﬁrst. Subtle animations were used to create a more cinematic experience, and design solutions were used to hint at behaviors and to optimize user perceptions of responsiveness. The team also developed unique methods for browsing by implementing an “Explorer” function that gives viewers the capability to browse photos by location, photographer, and themes. Each story expands from a single high-impact image—giving more context through a variety of formats including panoramas, sequences, and sounds—to transform the way people see. Country profiles visually compare social, demographic, and economic differences between the story’s location and the user’s, and photographer profiles introduce the people behind the lens and their stories. Users can also share and comment on photos, as well as favorite and save content for later viewings.